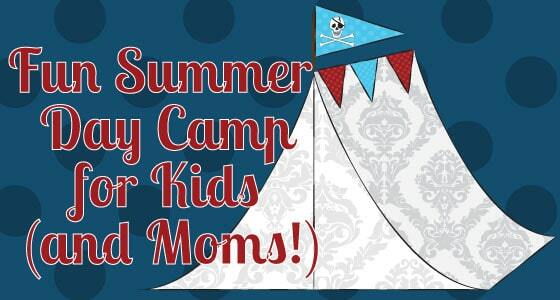 Here is where you’ll be able to get all the pirate themed printables used for the Pirate Fun Day Camp. 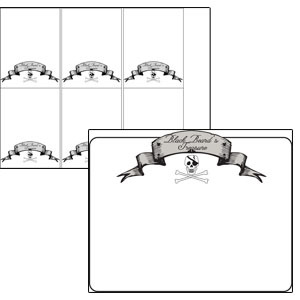 Please note: These printables are for personal use only – not for sale or mass duplication. By downloading the pdf you are agreeing to these terms. The copyright of the materials stays with Angel Dawn Hickman Peterson. This printable has three version of the hat that you can print up. The first is a blank sheet that kids can color, the second is a hat that is black and white, and the third can be printed in color. Click Here to Download the Hat pdf. Cut out hat, punch holes with hole punch where marked and decorate. Using thread elastic or thin elastic either tie or tape onto hat, adjust to needed size. Print up the clues cards and the map. 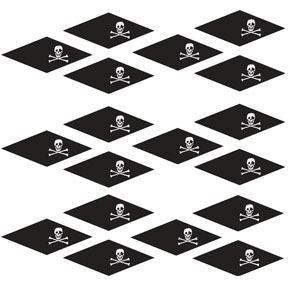 The idea is that Black Beard was lost at sea before he could complete his treasure map. He did however leave “clues” as to how to find the treasure. Have the kids follow the clues you set out and draw their own map to find the treasure! The treasure could be a snack, jewelry, new coloring books, whatever you want. Download the free printable here. Perfect for various crafts (or just fun to stick on food) these flags are cute and easy to make. 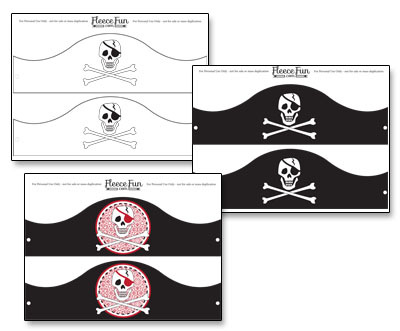 Print up the free printable and cut out the flags, fold them in half (so the white or back side of the paper in touching. Take a toothpick and some glue (glue stick will work) Fold the flag round the toothpick and glue together. Get the free printable here.